When Kate Bush was 15 years old, she thought it would be nice if she could get some of her songs published. There was a friend of her family who knew someone that was looking for talent to encourage and produce. That someone came and heard Kate’s songs, and was intrigued enough to put up the money needed to master a few demo tapes. 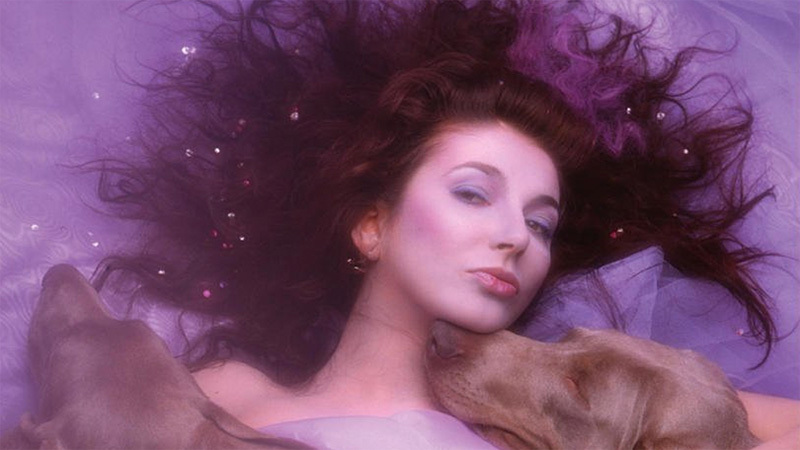 Those masters were what got the career of Kate Bush rolling…right up to her highly acclaimed new album, Hounds of Love. The certain someone who put the ball in motion was none other than David Gilmour, famed guitarist for seventies rock giants Pink Floyd. “He was really responsible for me getting my recording contract with EMI in the first place,” says Kate, who called the Straight from Toronto recently. That contract has resulted in the release of five full-length LPs–The Kick Inside (1977), Lionheart (’78), Never For Ever (’80), The Dreaming (’82), and Hounds (’85)–as well as two mini-albums, the live On Stage and Kate Bush (both ’83). Strangely enough, upon first meeting Gilmour in ’75, Bush had never even heard any Pink Floyd music. Gilmour was executive producer of The Kick Inside. He also sang on “Pull Out the Pin” from The Dreaming. In fact, Kate Bush has been fortunate enough to have fine musicians sitting in on all her records. 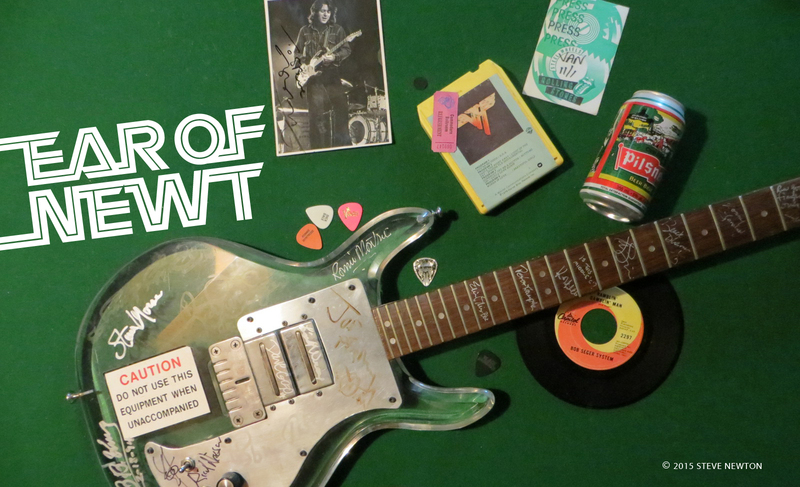 Aside from the basic core of players that includes drummer Stuart Elliot, bassist Del Palmer, and guitarist Alan Murphy, she had help from synth whiz Larry Fast (Never For Ever), bassist Eberhard Weber (The Dreaming), and guitarist John Williams (Hounds of Love). Max Middleton, former Jeff Beck keyboardist, played extensively on Never For Ever. So where does she find such top-notch talent? One piece of music that had a strong effect on Bush was Pink Floyd’s “The Wall”. She liked it so much that she borrowed the helicopter effect from that song to use on “Waking the Witch”, one of the more startling songs on Hounds of Love. It begins with a curious vocal track that resembles a jumbled-up morse code. The line comes from a 1956 black and white English horror movie, Night of the Demon (also released as Curse of the Demon). As it turns out, Kate is quite a fan of scary flicks. On the liner notes of Hounds of Love there’s a special thanks to Werner Herzog. On “Hello Earth” an instrument called the bouzouki is used, and throughout Hounds instruments such as the balalaika and didjeridu are put into play. Kate seems to thrive on sounds that are found far off the beaten path of ordinary pop. “I think you’re always looking for little pieces of gold amongst the rubbish–on every level. Lyrically, musically, and soundwise. On her new album, the didjeridu is played by Kate’s brother Paddy Bush. He uses it on “The Big Sky”, and also plays violin and fujare on “The Morning Fog”. Brother Jon is actually the one responsible for the striking photography on the cover and inside sleeve of Hounds of Love. The cover shot depicts a seductive Kate cuddling in a purple bed with two German hunting dogs. On the back cover Kate is shown partially submerged in a weedy pond. There is a method to her madness. Side One is titled “Hounds of Love”, and Side Two “The Ninth Wave”. The first side kicks off with the hit single “Running Up That Hill”, and carries on with four more individual tunes, while “The Ninth Wave” is a concept side, its seven songs combining to tell one story. Bush says that she has a fascination with the psychology of people. “Everyone does really.” “Running Up That Hill” resulted from that keen interest in the way people think about one another. “It’s the idea of people actually making a deal with God, you know, to just swap places with each other, and understand what it is like from the other person’s point of view. Kate Bush isn’t too certain about where her musical career will take her next. Obviously, her many fans would love the chance to see her live. Is touring a possibility? “I think that’s the question that everyone is asking. I really would like to tour again, but it’s an incredibly big commitment–financially as well as timewise.